Dr. Benjamin M. Petre is a specialist in sports medicine focusing on the shoulder, hip, and knee. Dr. Petre enjoys taking care of all athletes, any age, and any level. Dr. Petre attended Colgate University for his undergraduate degree and then spent two years performing research on protein biophysics at Harvard prior to returning to medical school. Dr. Petre obtained an MD from the University of Rochester School of Medicine and Dentistry and then completed a residency program in Orthopaedic Surgery at Johns Hopkins Hospital in Baltimore, MD. There, he received world class training in all areas of Orthopaedics. He is currently the team physician for the US Snowboard Team, US Ski Team and Annapolis High School. We are proud to announce that Dr. Petre has rejoined the Baltimore Orioles Orthopaedic Staff. He has previously worked with Johns Hopkins Lacrosse. Dr. Petre elected to pursue subspecialty training in Sports Medicine and was selected to attend the world-renowned Steadman Clinic Fellowship Program in Vail, Colorado. For one year, he trained with the top orthopaedic surgeons in the world for complex knee and shoulder surgery as well as hip arthroscopy. In addition to clinical sports medicine training, Dr. Petre worked on projects with the Steadman Philippon Research Institute publishing multiple peer reviewed clinical research papers. He served as a physician for the US Ski and Snowboard teams covering ski and snowboard events at Copper Mountain, Vail, Beaver Creek Mountain in addition to Queenstown, New Zealand, Valle, Nevada, Chile and The Snowboard World Championships in Oslo, Norway. 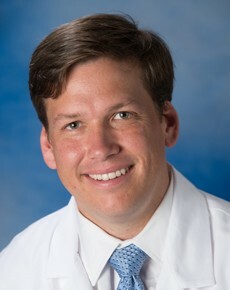 Dr. Petre returns to Maryland to practice sports medicine orthopaedics at The Orthopaedic and Sports Medicine Centers. His interests include ACL reconstruction, posterolateral corner reconstruction, arthroscopic rotator cuff repair, arthroscopic shoulder stabilization, shoulder replacements, and hip arthroscopy for the treatment of femoroacetabular impingement and labral tears. As one of the area’s best trained sports medicine surgeons, Dr. Petre has had more than 15 peer reviewed scientific manuscripts, was selected by the OTA as the teaching resident of the year, and has published a textbook on orthopedic injuries, emergencies and treatments. He is one of the only fellowship trained hip arthroscopists in the entire mid-atlantic region and offers arthroscopic treatment of FAI in addition to advanced labral reconstruction and repair techniques. Whether you are an athlete, a weekend warrior or someone looking to stay active, Dr. Petre desires to know your goals and help you remain active, fit and competitive. He accomplishes this through personalized attention to each step of the healing process including education, decision making, non-operative care, surgical care, and the post-operative recovery process. Congratulations Dr. Petre! You’ve been recognized as a Vitals Top Ten Doctor in your neighborhood. Of the nation’s 870,000 active doctors, you are among the top 1% who have received this honor from their patients in 2014.